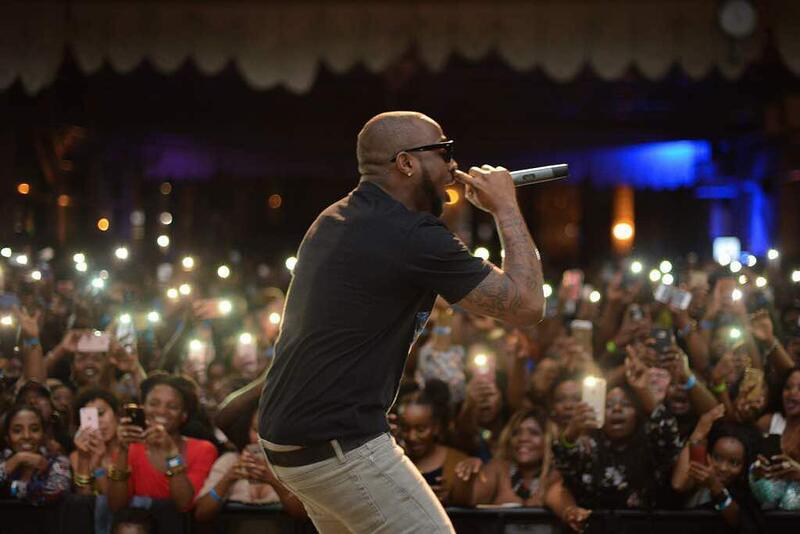 Monkeypox a rare disease transmitted from animals especially monkeys to humans have recently caused an epidemic in various states in nigeria. The virus which appears similar to smallpox in the body cause illness in human, research carried out by scientists have it that there is no treatment or vaccine available in preventing monkeypox. 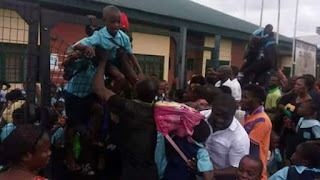 School activities were brought to an end in Akure, Ondo and Rivers- as the rumour of forced military vaccinations of school pupils by monkeypox, various spread across the states and a reported case of one person found infected in Uyo, Akwa Ibom State. 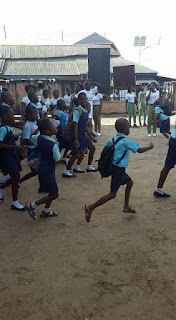 Fabian Group of Schools and all the public primary schools in Rumuosi, Okoro-Nu-Odo, Elekenia, Diobu, Igwunita, and others were deserted after parents withdrew their wards. Some pupils are pictured giving the country's leaders a run for their money as they jump through their school fence waiting for rescue from their parents. 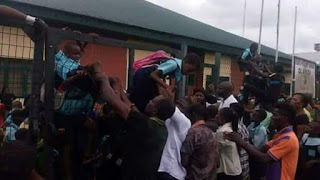 Meanwhile, the Rivers State Government said it did not authorise the Nigeria Army to enter into any school premises to administer vaccination to any child in Rivers State. Consequently, all school Heads and Parents should resist any such attempt; said the Commissioner for Information and Communications. The Government have set a task force to ensure that no school premises is violated in the state for the purpose of immunizing any child, "meanwhile the State Government has ordered the arrest of anyone attempting to vaccinate any child in school premises in Rivers State.